I have been involved with animals for as long as I can remember. When I first began raising, showing, and training German Shepherd Dogs over 30 years ago, one of the things that I quickly became more educated about was a proper diet for my pets. My vet wanted me to feed my very first puppy Science Diet. Within a few months her coat was mangy, she was losing hair, she was scratching all the time, and she just looked "bad". I reached out to some of the people that I had met through my obedience training classes and I got my first "light-bulb" moment in canine nutrition and it became a life-long passion to make sure that I fed my animals a diet that was properly formulated to make sure that my animals were fed the best diet I could afford. Interestingly enough is the fact that while better formulated diets may cost more to buy, you feed less because they contain no "fillers". So on a day-by-day cost basis you are in fact saving money by feeding the better food. Throughout the past 35+ years, I have tried numerous foods from a variety of different companies. I have been on a "breeder program" of a few of the better known pet food companies over the years, and since getting involved with Persian cats I once again had to re-evaluate what my animals were eating. (a breeder program is one where the pet food company sells larger bags of pet food (typically, 40 pound bags) for a wholesale price and it is usually delivered to the breeder's door. Some companies offer kitten/puppy starter packets for the new owners to take home with their new pet, samples, etc.). (3) I REALLY hated the fact that the food had corn in it! I knew I had to find a better food no matter if there was no breeder program, no matter if there were no cute "kitten packets". My cats needed me to find something better. Royal Canin was fired! About this time, I received a call from an Independent Representative of Life's Abundance who told me about their food and their breeders' program. I said I would try it. I got a small bag to try on Itzy (the cat with the "iffy" stomach). Itzy had a kitten at her side that was just starting to eat solid food when I got the bag of food delivered to me. Since Itzy already had diarrhea (again), I knew that it made no difference if I changed her food over to the new food slowly or immediately. So, I took away the Royal Canin Persian formula food and gave her the new food. The next morning, neither Itzy nor her kitten (Tempest) had diarrhea and to the day Itzy passed away, she never had diarrhea again (or any of my other cats). I was SOLD on this food. Anything to stop that terrible diarrhea! Itzy was retired from my breeding program and went to live in Colorado and her new owners continue to feed Life's Abundance until the day she passed away. 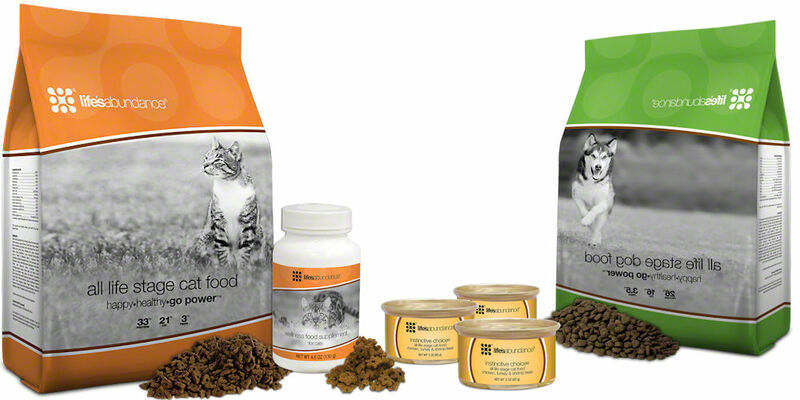 It was our experience with Itzy that convinced us we had to feed our cats and dogs a better food. This is why I became an Independent Representative for Life's Abundance so I could be on their breeder program. In early 2011, Life's Abundance put on a convention for their Independent Representatives and breeders. This convention was actually a cruise to the Bahamas and my husband and I decided to go. We took part in three seminars that the company put on to learn more about the food, and most importantly, to meet and get to know the company and staff. Life's Abundance co-founders were in attendance as well as the product formulator, veterinarian Dr. Jane Bicks. During the week-long cruise I had several occasions to chat with Dr. Bicks and was very impressed with her commitment to the life and health of animals. She, like my husband and I, have several different kinds of pets and love them all. Dr. Jane is the ultimate pet person. At that time, she shared her life with a goat, two horses, three chickens, and numerous cats. Her pets are her family and she is dedicated to their health and happiness. Dr. Jane has devoted her life to the health and wellness of our precious companions. Dr. Jane is the Executive Director of New Product Development and Education for Life's Abundance and consults regularly with pet industry experts to ensure Life's Abundance cutting-edge formulas meet the highest standards for quality and effectiveness. Dr. Jane is one of the pioneers of veterinary nutritional / alternative medicine and is recognized nationally as an authority in the natural treatment of animals. Dr. Jane is a highly respected and nationally recognized natural veterinarian. Dr. Jane served as the President of the Veterinary Medical Association of New York City and has been honored many times by her own veterinary profession. Among her many awards and acclamations are the Outstanding Service to Veterinary Medicine Award, three Presidential Citations, The Morris Animal Foundation (supporting the continuance of Diane Fosse's Lowland Gorilla Project and studies of all animals), and the Veterinary Medical Society's Merit Award. Dr. Jane has also been involved with many Advisory boards including the Advisory Board of the Cornell University Feline Health Center, Canine Companions for Independence and Pet Owners with AIDs/ARC Resource Services assisting stricken individuals so they may keep their beloved pets in their time of greatest need. She is a member of the American Veterinary Medical Association, the Florida Veterinary Medical Association and the American Veterinary Nutritional Association. Dr. Jane has been associated with the ASPCA, Bide-A-Wee Home, St. Hubert's, the American Human Society, and many regional and national animal shelters and rescue services. Since the early 1980's, Dr. Jane has authored three national books on pet care and nutrition including The Revolution in Cat Nutrition (Rawson Associates, New York, 1986), Dr. Jane's Thirty Days to a Healthier, Happier Cat (Berkley Publishing, New York, 1997), Dr. Jane's Guide to a Healthier, Happier Dog (Berkeley Publishing, New York, 1999), Dr. Jane's Natural Care for a Healthy, Happy Dog (Mass Market Paperback - 1999), . Dr. Jane has been the dog columnist, cat columnist and for the last seven years natural product columnist for the highly recognized magazine "Pet Business". In addition, Dr. Jane has appeared as a veterinary expert on CBS's 48 hours, ABC's Good Morning America, Fox's Good Morning New York, WNET's romper Room and Reading Rainbow, CNN, PBS. Lifetime, The Discovery Channel, TV Food Network and numerous radio stations including WABC/NY, WNBC, WNYC, WQXR and National Public Radio. Animal Planet's early days included Dr. Jane as the veterinary expert in frequent segments regarding all types of animals. Dr. Jane is available to talk with concerned pet owners. One can simply call the company and ask to speak to her. If she is not available, the support staff will give you her direct email address. She tries to return all calls promptly.